The Department of Archaeology uses the Harvard style of referencing. The Departments of History and History of Art use the Chicago style of referencing. 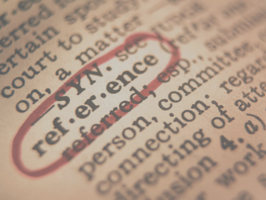 The Department of English uses the Chicago style and the MLA style of referencing. See the Reference Management Skills Guide for more information. Use Google Drive to create, edit and share web-based documents. You can also collaborate online and back up your work. Download Microsoft Office for free on up to five different devices. This includes Word, Excel and PowerPoint and can be backed up on OneDrive. Evernote and OneNote can help you keep organised when doing your research. Write notes or lists as you read, record the audio of an interview, and store photos or screenshots. Then access it all from the web or any mobile device. Are you publishing your research? If so, you need to know about open access. Find out how to increase the visibility of your publications and ensure that you meet research funder and REF open access requirements. ORCID gives researchers and authors a single unique ID. Discover how having an ORCID iD can benefit you as a researcher. Visit our practical guide to bibliometrics to discover how you can find and use article, author, journal and alternative indicators to analyse scholarly publications. Learn more about how to plan, organise, store, document and share your research data successfully. La tecnología de big data revolucionará la seguridad de la información by infocux Technologies, used under CC BY-NC 2.0 license / Colour change and resize from original. Visit the practical guide to copyright for University students and staff. Consider how much you can copy for private study, for an assessment, or to share with classmates, students or colleagues. Decide how best to protect your own copyright when you communicate your work.